Motorcycle tryout: Yamaha FZ6 Fazer. With the FZ6 Fazer, Yamaha have successfully created a smooth running and very functional motorbike. Almost as good as a Honda, if you want my “objective” opinion. Actually the bike runs so smooth and effortless that it almost becomes boring. It’s a super nice bike, but the fairing was a bit to “granddad” for me. I like to feel the wind when I’m riding, but luckily Yamaha makes a naked model of the bike called just FZ6. 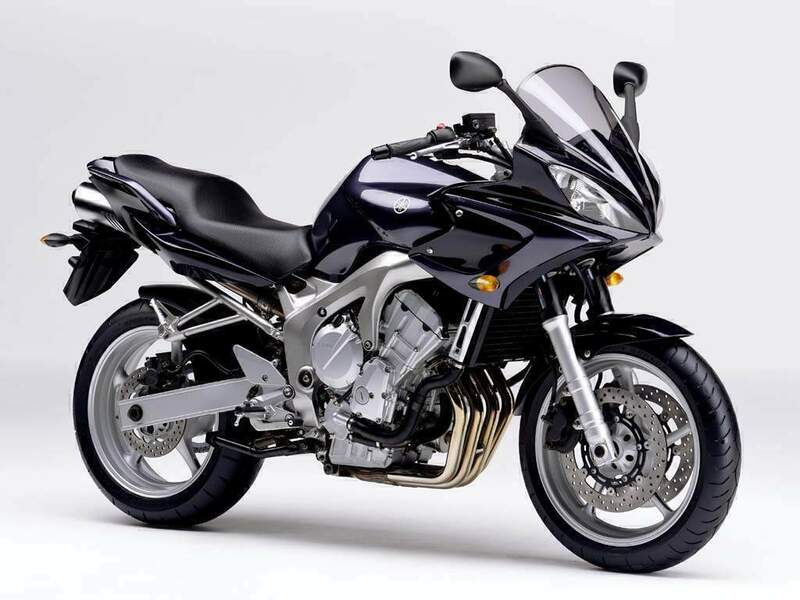 I saw a FZ6 (the naked model) last summer in France with some cool and simple aftermarket cans that looked quite beastly. The 07 model is so tight i love this bike this model I think is or was the bike of the year? I bought an ’05 FZ600 Fazer about six months ago and love it. It performs extremely well for the average rider and will know soon if there are any little annoyances when I take it on a week long trip. One thing I have to mention is that it is a noisy engine…I thought the valves required adjustment but having only 8,000 km’s on it and after talking to people who tune and own R6’s, I’ve come to the conclusion that it’s just a well performing, noisy motor. Thanks for sharing your experiences with us, Steve. Come to think of it, Yamaha have always been known for mechanical noisy engines and gear boxes, haven’t they. But as far as I know, they are rock solid and you’ll soon get used to the odd clonk! now and again. i have a 2006 fz6 and its got a pretty noisy engine, but its an awesome bike ! Yea, it’s more or less a Yamaha trait, but they ride absolutely perfect. You’re right about the aftermarket cans. The standard ones are far too plasticky and polite. Switch them out for some performance end cans and a power commander and the bike’s transformed. I bought a new FZ6 Fazer in 2008, I love the bike to death after I did a few mods on it. Got a rearset Arrow exhaust, Racetech suspension, power commander, galfer lines, Givi tourscreen and rack with boxes. I use it mainly for touring and it is super comfy to ride for long durations. Engine is powerful and fun to ride, rev it up and it moves. Go through heavy traffic and do it all really, even use it on track every now and again. For a one bike life 600 it’s great. From last 30 days i have to start it with running. My dealer didnt give me agressive solution for my bike. I told him to change my battery but coludn`t give me new battery. I don’t like Yamaha, but you have a great article, will wait your review for another brand. Helmet Hair – Motorcycle Blog	Powered by WordPress 73 queries. 0.556 seconds.